When you become a parent you know you’re signing up for a lot of responsibility, expenses, and stress. You read all the right books, browse parenting blogs, and prepare for this moment. Look at you! Then a short while later it happens — you need to know what to look for in a daycare. There are reviews, cost, qualifications, programs offered, and more to consider. Where’s the book for this? 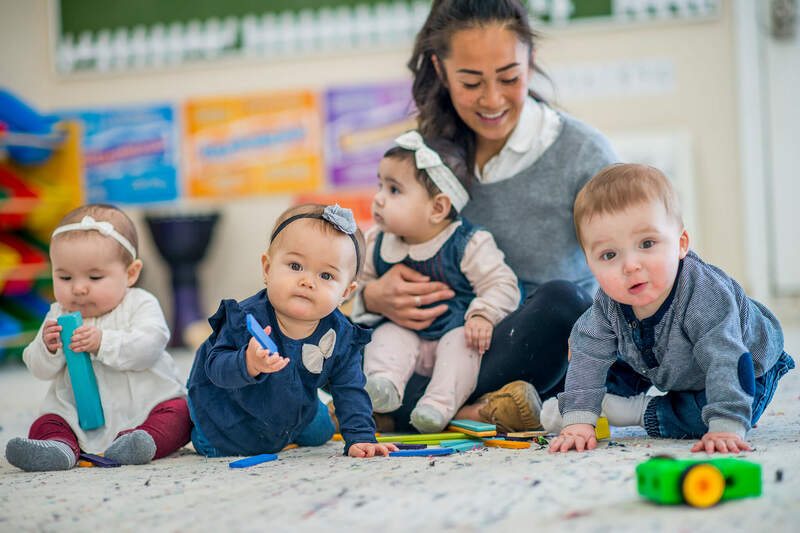 Fortunately, there are some clearcut things you can look for to cut down the number of options and increase your chances of finding the best daycare for the most important little people in your life. Daycare and finances go together like toddlers and messes. Daycare, while necessary for many families, is far from affordable most of the time. In fact, center-based care can cost anywhere from $10,000–41,000 each year, depending on where you live. Yikes! That number changes in a big way from state to state, but even then, most families spend around 20% of their annual income on childcare. That’s a huge chunk of change. 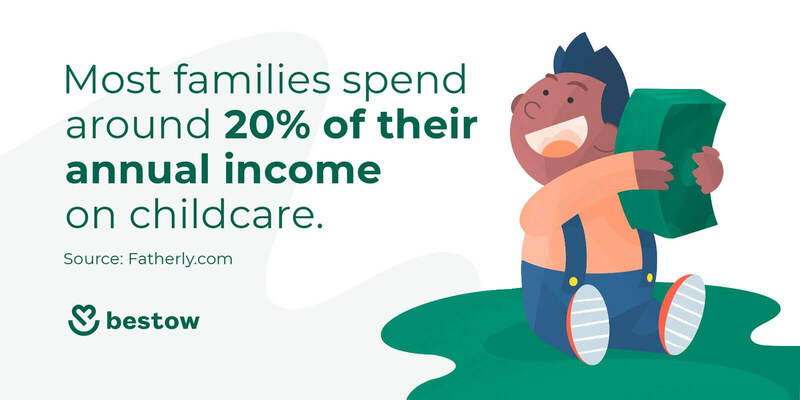 Can you find daycare for 10% of your income or less?The U.S. Department of Health and Human Services defines affordable childcare as 10% of the family income or less. If you can find daycare in your area for this amount, fantastic. If not, you’re likely in the same boat as many other Americans. This tool from Childcare Aware of America can help you get a closer look at your county’s childcare costs. Click around and see if you can’t find anything close to that magical 10%! Are you close to a career milestone or breakthrough?If you’re not quite at the 10% mark, but you’re on the verge of a promotion at your job, it might make sense to tough out the financial burden. Backsliding in a career is no joke. If there’s a chance you might be on the verge of a big breakthrough, consult with your financial advisor to see if there’s any possibility of making things work until then. Does your lifestyle support two working parents?If you’re flying solo, you’re likely going to return to work. 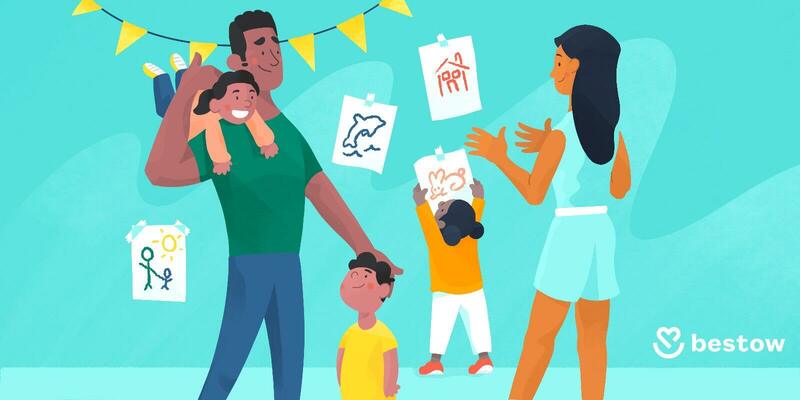 If you and a partner are raising a little one, you have more options and more to consider. Look at your commutes, jobs, and so on, then consider how working or staying home would impact your stress levels. For example, if you both have long commutes, daycare could be difficult. Conversely, if you both work close to home, daycare or at-home care could make sense. 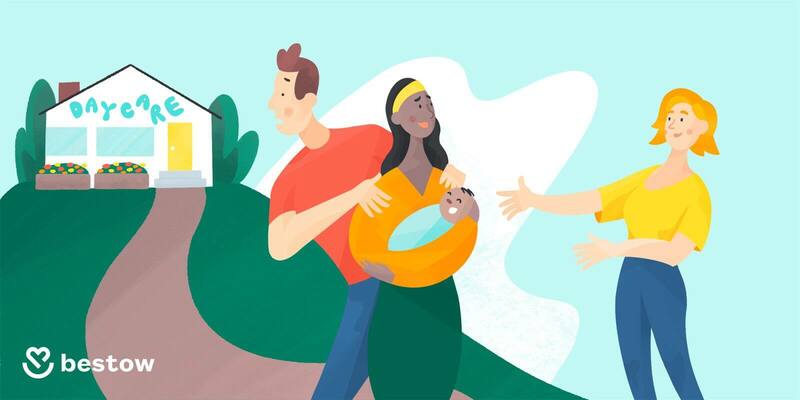 Throwing down gobs of money for daycare or choosing to stay at home — neither decision is an easy one, but the above questions can at least guide you toward an answer. For those of you moving forward with childcare, there are many options. Each has pros and cons, with some routes more suitable for different situations. Isn’t daycare fun? Home daycares are houses that have been converted into small, family-oriented daycares. Generally these daycares have one or two caregivers, and accept several kiddos at max. These daycares can be cheaper than group daycares, largely because they lack the high cost of a commercial space. The biggest downside is that space is very limited and if the caregiver is sick, you’re out of luck. Group daycare is the older, more expensive cousin to home daycare. Group daycares often have multiple caregivers, meaning they can take on more children. The costs are usually higher than home daycare, but they can also carry perks such as more organized activities, trips, and so on. They also usually have larger staffs, so they can provide support if another caregiver is out for any reason. A full-time nanny is, as the name implies, a nanny that works for you full-time. Mary Poppins? Total full-time nanny. While most nannies don’t come with bottomless bags and the ability to fly, they do come with the assurance that your child is getting their undivided attention. Unlike daycares, your child can also form a stronger bond with a full-time nanny. The downside is that they can be costly. Of all childcare options, nannies typically have the highest weekly cost per child. They can also sometimes require benefits, and if they’re sick or unavailable you’re left with no backup. If you can find another family or two that’s in need of a nanny, you could consider pitching in and sharing a nanny à la nanny share. This is essentially the same as the previously mentioned nanny, only shared with other children. The cost can be lower than the other options listed when split, but again, you’re stuck if the nanny is unavailable — unless you have a second string Poppins. When you’re looking at nannies and caregivers there are many things to consider. Price is obviously a big factor, but once you’ve gotten past that, look at the following points to ensure you don’t pick a rotten Poppins. Everyone starts somewhere, but ideally your nanny will have some prior experience. Look for nannies with at least one to two years of experience, even in a daycare setting. Again, all nannies start somewhere. If you have a glowing personal recommendation from a friend or family member for someone they know, by all means hear them out. A degree in Early Childhood Education is by no means a must, but it’s a huge perk. This can result in a nanny being more expensive, but it can also result in your child having a more positive, lasting experience. Nannies with this degree will generally be more adept at helping your child learn and grow, especially when it comes to conflict resolution and critical thinking. Any kind of caregiver responsible for your children should be certified in Infant CPR and ideally, Red Cross First Aid Certified as well. Bumps, bruises, and boo boos will happen even when the best nanny or caregiver is watching your little one. For proof, see any toddler in the history of ever. Nobody likes a meanie. 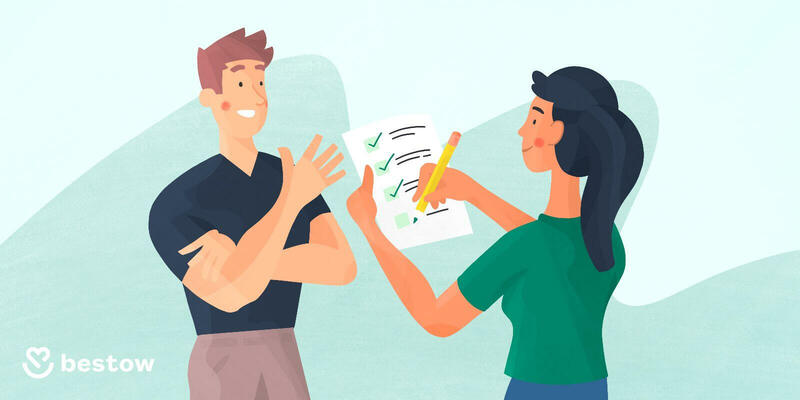 During the interviewing process, make sure the candidate has a loving demeanor and seems genuinely interested in caring for children. If possible, hold two interviews, allowing them to meet your child or children during the second interview. Watch how they interact with your little ones, and how they respond in return. Your kids might even know if this nanny has the right stuff before you do! Just in case picking a caregiver wasn’t complicated enough, allow us to introduce what to look for in a daycare. Picking a daycare is no small decision, both financially and for the sake of your child. There are a number of things to consider when looking at daycares. Consider the following and cross off those that don’t meet your criteria. No amount of licensing can guarantee the safety and well-being of your child, but it can at least ensure the facility is up to speed as far as safety and health are concerned. When you’re meeting with the operators of a daycare, ask about their licensing and certifications. You can also find a certified Child Care Resource & Referral agency in your area and have them do the digging for you. When you visit the daycare, note if the staff seem genuinely interested in what they do. It can be pretty easy to tell who treats daycare like a job, and who has a real interest in caring for children. You also want to make sure the children are happy. If the room is full of tears and dread, run. After meeting with the daycare staff, drop by unannounced before making a final decision. This will give you an accurate view of how things operate on a regular day, sans visitor prep. If they won’t allow you in unannounced, this is a major red flag. If a daycare has proper licensing, as they should, they should take proper safety precautions as well. A daycare should be even safer than your home, so look for plugged outlets, safe furniture, and so on. Infants are delicate little flowers. Toddlers are more akin to rambunctious little bears with no self-awareness. Daycares should separate infants from toddlers and younger children, as the two are a recipe for, well, nothing good. Daycares aren’t a substitute for school, but they should be stocked with stimulating toys and games to help your child learn and grow. During your initial visit, ask them about the toys they have. You’ll also want to ask if they do any organized activities, as these can help your child learn to interact with others. Does the daycare have great reviews? Great! You should still go scope the place out for yourself, but solid reviews are always a great sign. Are the reviews dicey? Look at the common threads between the complaints and decide if it’s worth pursuing that daycare at all. If you have other options, try to avoid any daycares with poor reviews. When it comes to childcare, the options are simply overwhelming. Keeping in mind the information outlined in this guide will knock out some of your options, and hopefully guide you toward the right decision. Ultimately, only you know what’s right for your family, your little one, and your finances. The right daycare can help your child in their development, give you back a slice of freedom, and be great for your entire family. Don’t take this decision lightly, but don’t stress yourself too much either. There are numerous helpful financial and parenting resources available, so take your time and make the decision when your brain and gut tell you it’s right! You have a lot to keep tabs on when shopping for the perfect daycare or nanny. Use this handy checklist to ensure you leave no stone unturned and find the best for the little ones in your life.